required by KDHE; includes details about where your water comes from, what it contains, and how it compares to Environmental Protection Agency and State standards. Annual FBLA Easter Egg Hunt April 20th @ 9 a.m. Jones Park (weather permitting); school gym (inclement weather). Methodist Church Easter Carnival April 20th, starting after FBLA Easter Egg Hunt. Lebo City wide garage sales will be on June 1st, 2019 starting @ 8 a.m. 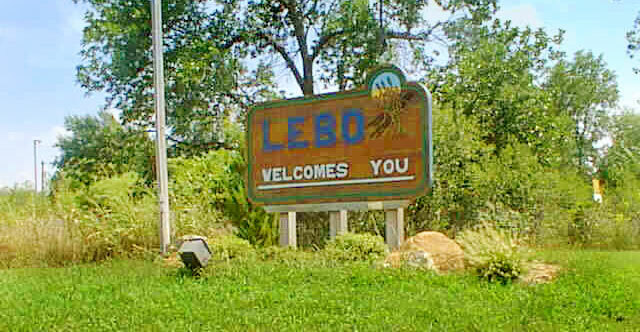 There are a lot of things we would like to tell you about Lebo. If you live here, used to live here, have visited or simply have never had the pleasure, settle in and take the tour. We are a quiet, full service, family oriented town. Population? About a thousand. Where in the world are we? Click on the welcome sign below! Click on the contents above if you want a tour of some of the bright spots of our community. 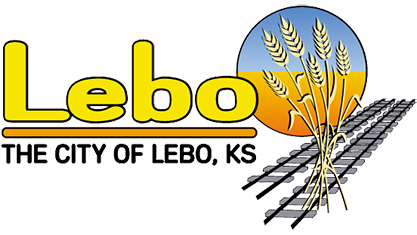 We also provide a window on business opportunities and the business climate in Lebo and Coffey County. Enjoy and come back often for updates!